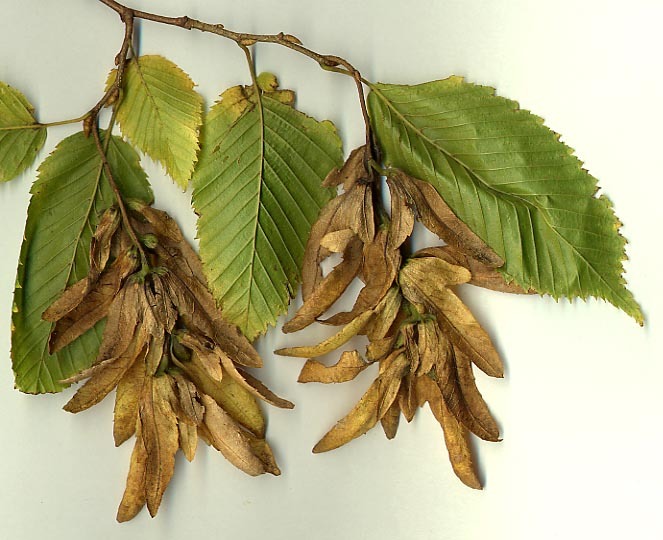 Firewood Types : Hornbeam, Carpinus Betulus, is less common as a type of firewood in the UK, because it was not usually deliberately cultivated in traditional woodlands. It is found across the whole of the UK, and we have a few stools of it in our own coppice woodland. It is slower growing than the chestnut and, as the name "Ironwood" suggests, is nearly impossible to work with hand tools. The traditional market for Ironwood was to turn it into charcoal, usually on site in the woods, then sell if for use in blacksmith forges. The charcoal produced is of exceptional quality and there is still a thriving market for locally produced charcoal today. Additionally it was also used to make the teeth of large mechanical gears, such as in mill workings. Ironwood pegs were driven into holes in the rim of the gear; if a single tooth breaks it could be knocked out and easily replaced. The wood is dense and strong enough to stand years of hard use in applications like this. A "muscley trunk"- it sounds strange but the limbs of hornbeam do not have a nice straight grain and seem to twist a meld. From the outside the trunk can have an undulating texture. This is why hornbeam is considered hard to work. Hornbeams are some of the earliest trees to come into leaf in British woodlands. You may see shoots forming in winter, ready to burst at the first sign of spring. 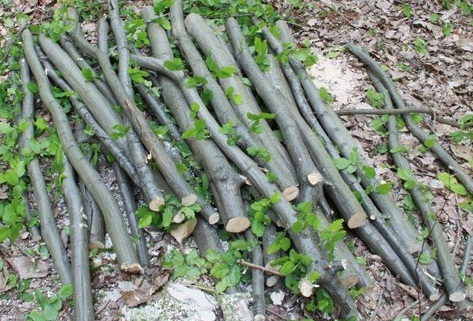 It is rare to find standard hornbeams, as their excellent burning properties has generally led them to be felled regularly, they coppice easily and are generally harvested on a 15 - 20 year cycle, slightly longer than for chestnut. In practice they are often found mixed in with chestnut or hazel coppice stools and are generally felled with the rest of the coppice cycle. 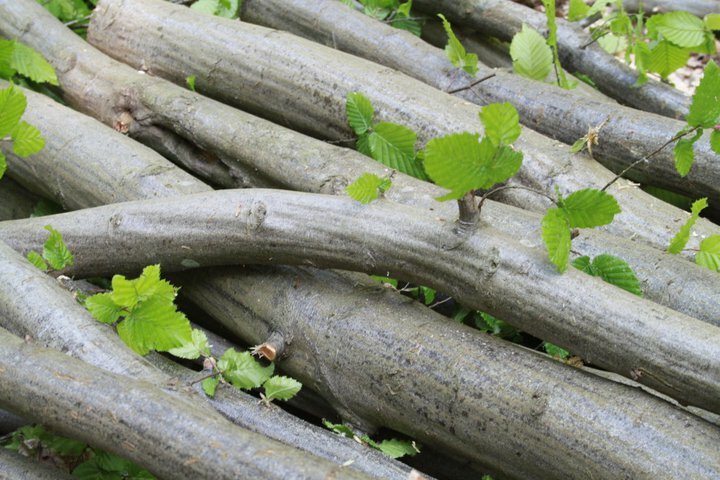 Establishing a hornbeam coppice especially for firewood may be a good investment if you have the space, as the quality of wood will be excellent, however it has little value otherwise. Hornbeam is quite commonly available to buy as firewood in my area (South East UK), but usually would be bought with other mixed hardwoods such as chestnut. Chestnut is very slow drying and definitely needs a full two years to burn well, so it is safest to assume that your mixed load of firewood will also need two years of seasoning. If in doubt you can test moisture content of your fire wood with a moisture probe, available cheaply from Amazon. Wood with a moisture content of under 20% is usually considered seasoned. Just remember that different firewood types have different burning characteristics - try some hornbeam in your wood stove and see how you get on.